For prospective home owners, there's never been a better time go green. Advancements in insulation, HVAC and design means that new houses have the potential to be twice as energy efficient as those built just two decades ago. New home builders in Florida can harness the power of the sun by installing solar panels to meet or even exceed their yearly energy needs. By incorporating super-efficient design with the renewable energy of the sun, your next home could be a net zero energy one. For those not familiar with the phrase, a "net zero energy home" produces as much energy as it consumes throughout the year. Through a combination of rooftop solar panels and superior, energy-efficient design, the home's power is supplied by the sun during the day. At night or during other low solar panel production times, the home runs on energy stored in batteries or through net metering. Although they are highly efficient, net zero energy homes sometimes run on non-renewable energy supplied by the local electric grid. For instance, during peak usage times in the hottest or coldest months, the home's HVAC system may dip into the grid for the extra power required. At other times, though, the home's surplus energy production is returned directly to the grid. Over a twelve-month period, the home's efficient building system results in a "net zero" consumption of energy--and zero electric bills for the owner. Net metering enables you to sell back your home's surplus energy production to your local electric company, earning an energy credit. This amount is either deducted from your current bill or applied towards a future bill. Once your home's solar panels are installed, you don't have to do anything to manage your energy costs, which are tracked by the metering system. 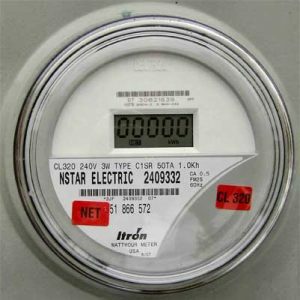 Use of net metering is particularly beneficial in Florida, where state law requires all homes to be connected to the utility grid. For owners of net zero homes, this means that they can rely on the grid during high power usage, then feed back into it when their energy needs are exceeded. While your meter might spin forward once the sun sets, it will spin right back as soon as sunshine hits your solar panels the next day. In particular, net metering cuts down on the costs associated with battery storage, which are expensive to buy and replace. There's no need to budget for batteries when net metering ensures that your energy expenses throughout the year balance out to be completely free. While net metering clearly benefits owners of net zero energy homes, studies have shown that its advantages spread to the community as a whole. It increases the reliability of the electrical grid by reducing demand during times of peak production. Solar's clean energy enhances air and environmental quality. It also helps ensure that money spent investing in the energy system stays local. Why install net zero energy homes for new construction? If you're planning a new home and thinking about installing solar panels, you have an advantage over owners of older homes. When your new home is built with a cutting-edge design for energy efficiency, the total energy needs for the house drop dramatically. Your home might include features such highly insulated walls and low-E windows that reflect summer's heat while keeping you warm in the winter. There's simply not as much demand for energy with a house that's designed to protect you from heat and humidity as well as cold snaps. How does that add up when you're thinking of installing solar panels? Although they represent an upfront cost, you reap the benefits starting immediately with drastically reduced energy bills. Taking into account the cost of the panels spread out over an average 30-year home loan, you might end up paying $20 to $50 a month. Contrast that with a typical monthly electric bill in the range of $150 to $300 a month, with the possibility that this amount would climb as the power company raises their rates. What is the cost for net zero energy homes? This might have you wondering what the cost is for one of these energy-efficient homes. Like any new home, the cost varies greatly depending on location and features. Although a high-energy design might initially bump up the price of the house, these amenities end up more than paying for themselves. Studies have shown that not only do net zero energy homes save you hundreds of dollars a month in utility bills, they greatly increase both the comfort of the residents as well as the resale value of the home. To look at some specific figures, solar panels themselves can cost as low as $10,000 to $20,000 as an initial investment. Now divide that by 360, which is the number of months in the average 30-year home loan, and you'll see that on the high end those solar panels will cost you just $55 a month. When you consider the numerous other benefits the panels bring--everything from a higher home value to a cleaner, greener community--installing solar in your new home is the clear choice. How long will a net zero energy homes produce power? Every homeowner dreads the moment when they need to replace a major appliance such as a furnace or refrigerator. The good news for owners of net zero energy homes is that solar panels are built to last. While the solar cells inside panels are just a few millimeters thick, they are protected by a sturdy structure of glass and metal that endures all sorts of weather conditions over the decades. Since the panels are mounted flat on your roof and have no fragile, moving parts, they easily withstand extreme weather conditions--everything from high winds to heavy rainfall. Panels that you install when building a new home will still be powering your home decades later. Solar manufacturers typically have extensive warranties on their panels, and their efficiency declines very slowly, at rates around 0.3 to 0.8 percent decline per year. In general, solar panels have been shown to have an average lifespan of 25 to 30 years, and can operate 50-plus years. The world's oldest modern solar panel is still able to produce power after over 60 years! Considering solar technology is continuing to advance in leaps and bounds, today's solar panels may outperform anyone's expectations. In fact, studies are finding that even older solar panels are outperforming their manufacturers' original specifications. How effective are pv solar panels? Photovoltaic solar panels work by capturing the energy of the sun and transforming it into electric power. Cells inside the panel are made of two wafer-thin layers that have been specially treated to be unstable on a subatomic level. The top layer wants to lose electrons, or subatomic particles of negative energy that create what we think of as electrical flow. The bottom layer is also specially treated to want to gain electrons. When the sun beams down on the panel, it strikes the cell with photons, which are essentially particles of light. These photons provide the energy needed to cause the upper layer of silicon to shed its electrons towards the lower layer. This transfer of electrons creates an electrical field within the cell which can then be harnessed and converted to power your home. Not all of the light that strikes solar panels gets converted into electricity. Some of the light is reflected away, serves only to generate heat or is the wrong wavelength. Nonetheless, solar panels have been growing in efficiency through the decades, and some laboratory panels have tested at 46 percent efficiency in converting light to electricity. Most consumer solar panels range between 19 to 30 percent efficiency. Since photovoltaic cells must receive energy from the sun in order to be activated, the panels should be set up on the sunniest part of your roof for maximum energy production. Your builder can help you determine where this should be on your house, but ideally the panels should face due south to receive sunlight throughout the day. Solar panels placed on west-facing roofs will still generate plenty of power, but it will be approximately 20 percent less than that of south-facing panels. During new construction will I get any tax rebates for a solar system? 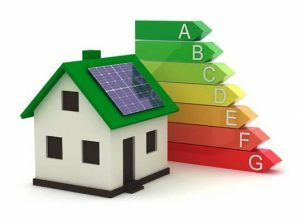 A big question that new home buyers have is whether they're eligible for any energy-efficiency or solar tax rebates. Although the amount of rebates vary from year to year, chances are there is an opportunity for you to gain a sizable discount by going green. 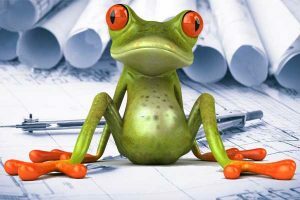 As part of your contract, your builder will supply an itemized solar cost that makes it easy to document your expenses for rebate programs. Various state and federal programs recognize the value that solar power brings to the community through incentives designed to make this up-front investment less expensive for the home owner. 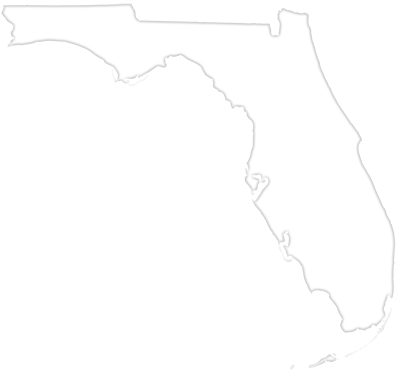 Currently, Florida has programs in place to financially reward those who install solar panels. In addition to the net metering allowed by state law, purchasers of solar panel systems are exempt from state sales tax thanks to Florida's solar and CHP Sales Tax Exemption. This is a savings of six percent, equal to hundreds to thousands of dollars. 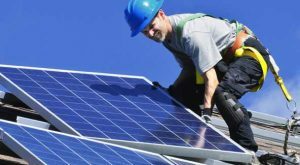 In addition to Florida's programs, the federal government offers a solar tax credit that allows homeowners to deduct 30 percent of the cost of their solar panel installation from their federal taxes. This program means that you could save thousands of dollars when installing a new solar system. 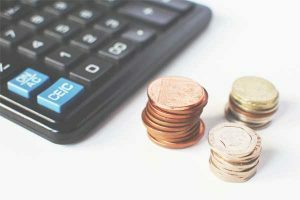 The 30 percent deduction is in place through 2019, after which it begins dropping--so the time to take advantage of it is now. Net Zero Energy home plans. When building a new home, you have the benefit of having your dream home designed just the way you like it. From picking floor plans to watching your house come together before your eyes, it's an exciting process. In addition to choosing your own options, amenities and floor plans, your new home will offer low maintenance costs for years to come, thanks to its all-new materials and appliances. These advantages are even more dramatic when you build a net zero energy home. Your new home will be highly personalized for your needs, thanks to Gast Homes' extensive selection of home plans, currently 30 plans and growing. You'll get to choose from a layout that is customized to your family's needs while also offering the most cutting edge features to reduce your energy costs. Our net zero energy home plans are designed to minimize your home's air leaks, creating a stronger boundary between your interior and the hot or cold outside air. We perform blower door air testing to catch minor leaks, and we also insulate your home at the key locations to ensure that the entire system of your home is protected from the elements. For example, we have upgrade options that line the underside of your roof with air-tight foam insulation, making your attic and HVAC duct systems part of the conditioned air of your home. We also install HVAC systems that are more efficient based on the Seasonal Energy Efficiency Ratio, or SEER. HVAC units with high SEER ratings put out higher amounts of heat or cold based on the amount of energy they use. Combined with a well-insulated home, better SEER HVAC systems drastically shrink the energy footprint of your home. And when a small solar panel array is added to your roof, you can become the proud owner of a net zero energy home. Gast Homes are uniquely qualified to build new net zero energy homes. Our owner is a licensed certified (BPI) Building Performance Institute Quality Control Inspector, a highly selective certification program that authorizes its holders to perform building energy audits and make suggestions for improvements in energy performance. 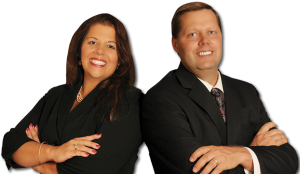 Our sister company performs hundreds of energy audits across Florida each year. Contact us today to learn how we can help you build your green dream home.